Creating beautiful, handcrafted interfaces that increase user experience & engagement while making you look AWESOME! Crafting elegant, structured and reliable code that runs effortlessly and securely across mobile, desktop and web platforms. Getting your software solutions into the hands of your users with the least amount of pain. Why use a FileMaker Database? FileMaker is a premier rapid application database software solution. FileMaker’s strength of integrating with all of your existing software applications makes it adaptable, comprehensive, and a powerful tool for companies of all sizes. Don’t have software for your business yet? FileMaker is often the right solution for your needs, be it for ordering & inventory systems, integrated point-of-sale, management solutions, record classification software, automated invoicing, document management, or project management. PK Information is here to help solve your current headaches, friction points, software glitches and help calm your software development fears. We have been in business for over 20 years, and have developed & designed award winning software. PK Information began in St. Petersburg Florida back in 1993. Since then we have developed and fostered community with all our clients. 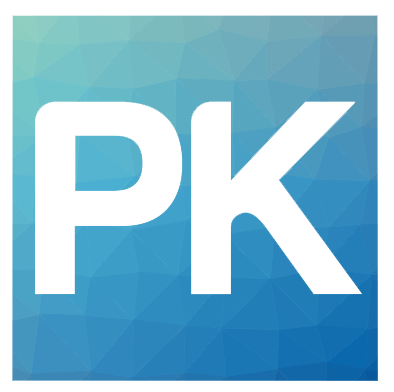 PK Information is a team of professional, certified & award winning developers! We are here to give hope, to encourage, and to solve complex problems TOGETHER! Whether you need a web-based database, an inventory management program, content management software or something totally new, we’re here and we’re ready to come alongside to meet your needs and exceed your wildest dreams. Users all over the world can use a FileMaker Custom Web Publishing solution without fearing for the security of their information and software owners can use our database solutions with confidence, knowing that their software can handle high user volume and deep complexity without crashing or slowing to a crawl. As technology improves, companies are seeing their customers and clients using apps on their iPhones and Androids instead of a program on a desktop computer. We can partner with you to develop web apps that all of your mobile users can access. Other software has to be developed twice, once for the Apple Store and once for Android’s Marketplace. FileMaker’s structure means that we can build powerhouse software that utilizes your data in new and exciting ways. Utilizing FileMaker’s PHP API, we create stunning websites that are as robust as they are visually appealing. We develop applications that work on every device from day one. Whether you’re a multinational corporation or an independent business, our developers have the tools, the skills and the passion to help you succeed.